Uppinangady, Oct 17, 2017 : In a tragic incident , couple lost life as the private bus rams into bike at Netravathi bridge in Uppinangady on October 17, Tuesday night. 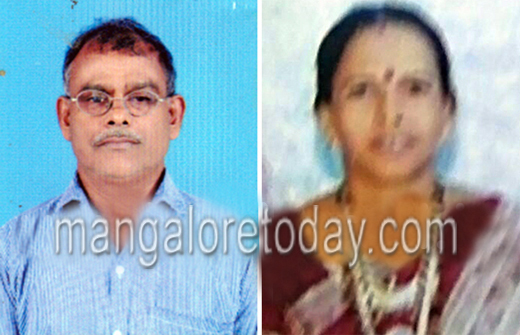 The deceased are identified as Seenappa Acharya and his wife Vishalakshi of Koiltadda in Puttur. Sources said that Seenappa couple were on thier way from Uppinangady to Guruvayankere. 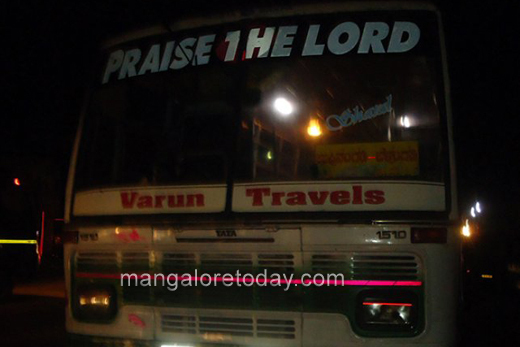 A private bus(Varun Travels) rammed into thier bike at Uppinangady. Due to the impact Seenappa was crushed to death, whereas Vishalakshi succummbs to injuries at hospital. Uppinangady police have registered the case. Is the Government seriously taking these accidents. So many have lost life. it s due to the negligence .